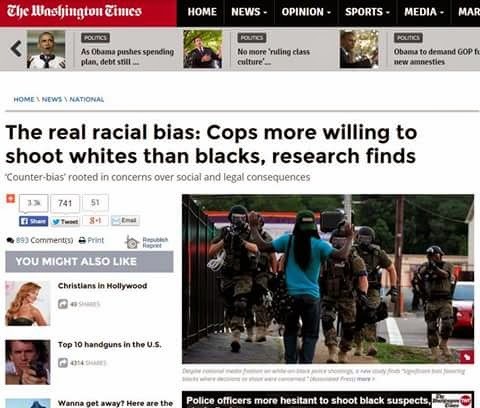 The Chronicle of Cultural Misandry: A Study from Washington State University reports: White men more than likely to be shot by police than women. A Study from Washington State University reports: White men more than likely to be shot by police than women. “Across these 300 interviews, I have multiple officers telling me that they didn’t shoot only because the suspect was black or the suspect was a woman, or something that would not be consistent with this narrative of cops out there running and gunning,” said Mr. Klinger, a former cop and author of “Into the Kill Zone: A Cop’s Eye View of Deadly Force” (2006).